The time doesn’t fit the crime. This seems to be many people's lament after a district court sentenced Jakarta governor Basuki Tjahaja Purnama to two years in jail for blasphemy on Tuesday (May 9). The verdict raised questions over why the judges took such a harsh stance against Basuki - popularly known by his Chinese nickname Ahok - despite the prosecution seeking two years’ probation instead of jail. Lawyers said it is within the powers of the court to do so. Still, many legal experts questioned the need for Basuki to start his jail sentence immediately. The court did cite concerns that he might flee the country. The defendant is the city’s governor after all, said the experts, and he not only has close ties to the local community, but is also a recognisable public figure. Basuki’s deputy Djarot Saiful Hidayat, who was sworn in as acting governor on Tuesday, even offered to guarantee that he would not run off. Mr Tommy Sihotang, who is a lawyer on Basuki’s defence team, said he will file a challenge against the court’s decision. “Why did they have to decide to detain him? Is there any worry he would flee? Why would he? Remember, he is still governor,” he told reporters after the hearing. Many supporters of Basuki, better known as Ahok, agreed. On Tuesday, thousands of them rallied behind their hero outside Cipinang prison, in East Jakarta, where he was locked up. In a bid to prevent an escalation of tension in the capital, which has seen numerous street protests by anti-Basuki Muslim hardliners, President Joko Widodo appealed to Indonesians to be calm and to respect the verdict. Many had expected Mr Joko to extend more support to Basuki, his close ally and former deputy governor, during the trial. On Tuesday, Mr Joko reminded Indonesians that the government cannot intervene in the hearings and asked them to trust “the legal mechanism to resolve problems that we face”. “That is the way a democratic country handles differences in public,” he said. 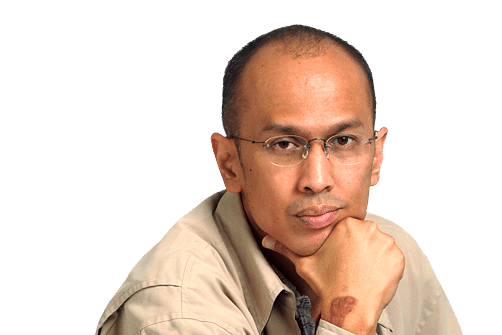 Political observers said it would be difficult for Mr Joko to avoid some negative impact from the case on his presidency, especially with the next election just two years away. But many agreed that the trial has been highly politicised by opponents of Mr Joko and Basuki. Political analyst Tobias Basuki said the verdict was more a result of “politicking by the elites from various political parties who hate Ahok and who have been deprived of government projects because of Ahok’s strict style of governing”. “So the disappointment of Jokowi’s supporters is not really valid because Jokowi cannot intervene in the law,” he said. Some activists also wondered if the same legal process would apply in the blasphemy case against Islamic Defenders Front leader Rizieq Shihab, who is one of Basuki’s fiercest critics. Human rights group Setara Institute’s chairman Hendari noted in a statement that the punishment meted out by the court was heavier than what prosecutors had sought – which is rare as judges in Indonesia typically take the cue from the prosecution. “The weak evidence presented by prosecutors should have been able to convince the judges to hand down a lighter sentence than that demanded by prosecutors,” said Mr Hendari, who goes by one name.